Today sees the launch of three new smartphones on Sprint's network. First up is Google's current flagship device, the Galaxy Nexus. Sprint has the CDMA/LTE variant, which is very similar to the Verizon LTE version currently doing the rounds in the U.S. There's the same 720p HD SuperAMOLED display and 1.2GHz dual-core CPU that GNex owners have been enjoying since late 2011, and we're sure Sprint customers will be eager to get their hands on their very own version of the current Android flagship. Next up is the LG Viper, an entry-level 4G LTE device for customers looking for a good all-round LTE smartphone. Inside you'll find a 1.2GHz dual-core processor along with NFC, Google Wallet and hotspot capability on top of a 4-inch WVGA NOVA display. Finally, there's the Optimus Elite, which we got to play with just a few days ago at its launch event. It's definitely an entry-level device, with a 3.5-inch HVGA display and 5MP camera. But if you're not looking for anything too fancy from your Android smartphone experience, you could definitely do a lot worse. 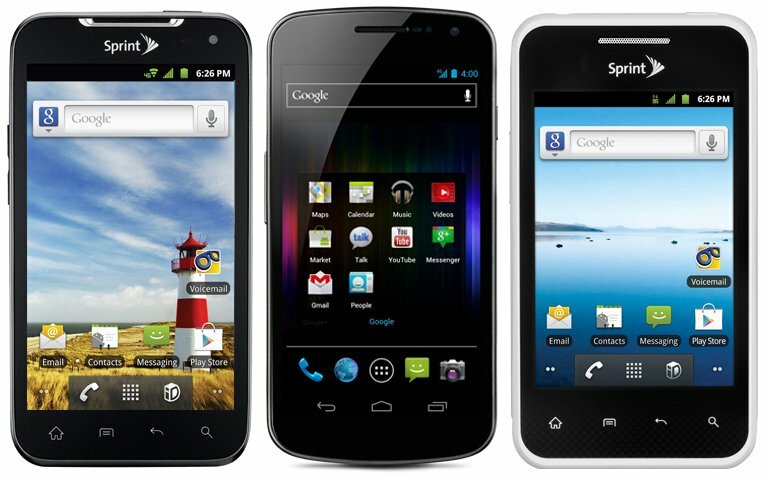 Hit the source link find out more on each of these new handsets.